For a fun twist to any celebration, the novelty cake pans are always a hit with friends and family. This cake pan is shaped like an accoustic guitar and is perfect for the music-lover or instrumentalist in your life. For a fun twist to any celebration, the novelty cake pans are always a hit with friends and family. 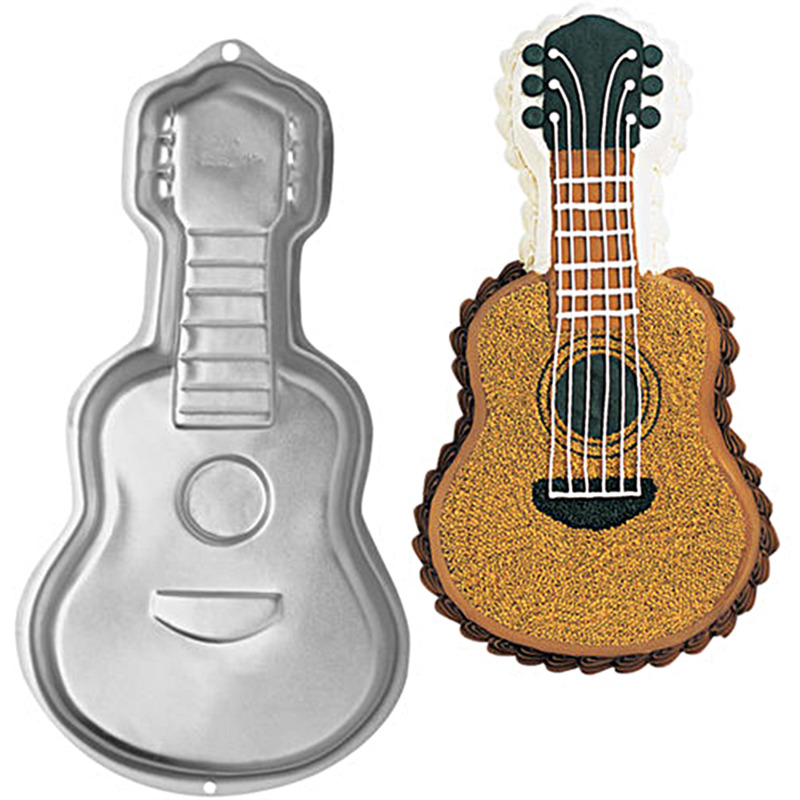 This cake pan is shaped like an accoustic guitar and is perfect for the music-lover or instrumentalist in your life. Any 2-layer cake mix will work with this rust-resistant aluminum cake Pan. The guitar cake pan should be washed with soapy water, hand wash only.